World renowned tattoo artist Dr. Woo is one of the top purveyors of Converse’s expansive catalogue, as his previous collaboration highlighted his unmatched attention to detail and the diverse adaptability of the canvas-ridden Converse line. Set to team up again, their latest collaborative capsule of four shoes – two for adults and two for children – includes two Chuck Taylor 1970s that drastically change as you wear them. Much like the Air Jordan 1 “Lance Mountain”, as the consumer continuously wears their new pair of Chucks, the outer layer will wear away, revealing a wildly-designed set of colorful graphics underneath. With durability in mind, three-layer GORE-TEX fabrics are added to the uppers, creating a water and wind resistant effect. 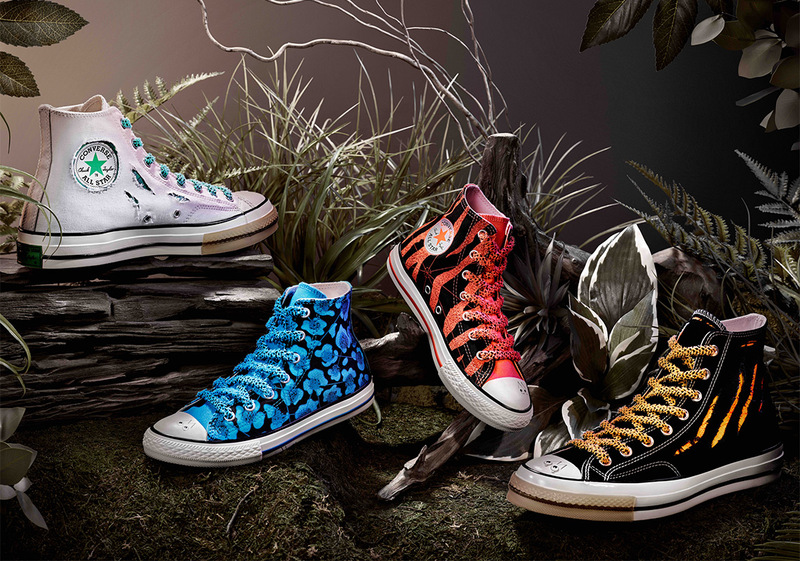 For the kids, Woo has also hand-drawn two other versions of the Chuck, one coming done up on a Mellon colorway, and the other in Horizon Blue, serving as re-interpretations of iconic Converse prints. A semi-translucent vulcanized sole unit and Woo’s signature eye motif on the toe cap complete the two intriguing looks for adults that will be rolling into select retailers on September 6th alongside the two aforementioned youth pairs. Over time, the Black Dr. Woo x Converse Chuck 70 reveals a Sunset Gold color scheme. Over time, the White Dr. Woo x Converse Chuck 70 reveals a Green Absinthe color scheme.